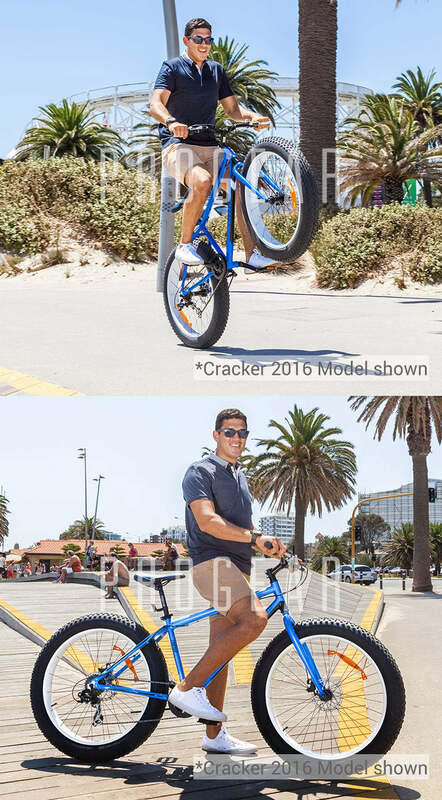 Running 26” by 4” wide Fat Tyres, the Cracker is designed to handle terrain that would be impossible on a regular bike. 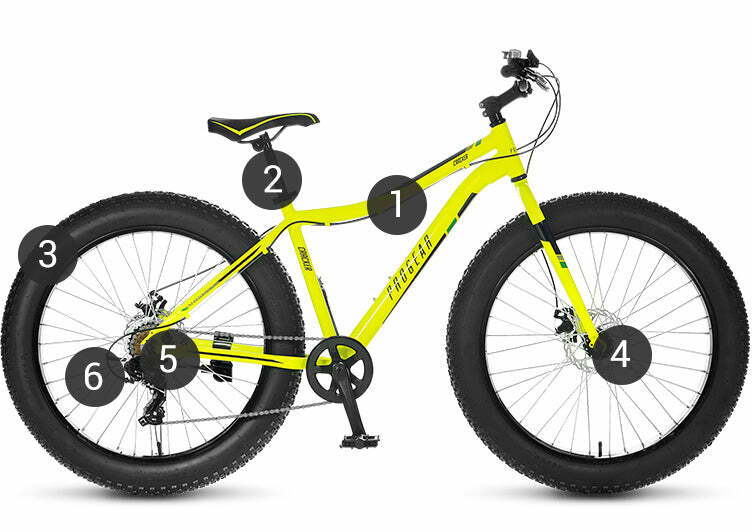 The big footprint of a fat bike tyre distributes load over a bigger area & provides excellent traction on climbs or even cornering. Fat Tyres will make you feel like you’re floating over terrain. 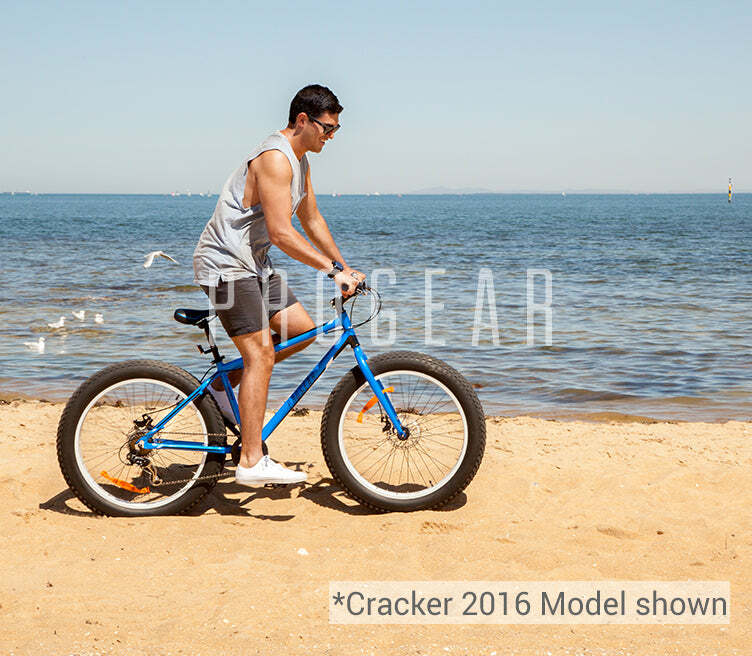 Rough terrain with rocks and roots that would normally rattle your brains on a regular bike, will be barely felt under the cush of Cracker’s big 26” x 4” tyres. 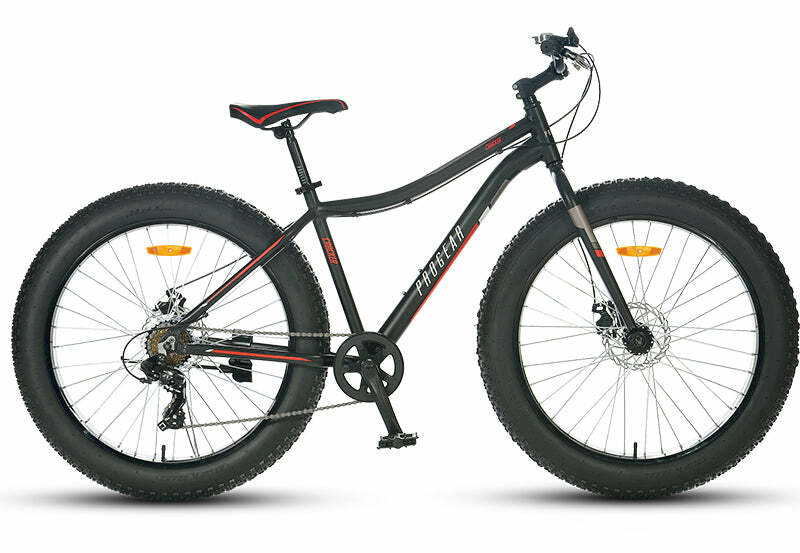 Fat tyre bikes can be heavier than regular bikes – but we try our best to minimise the weight with a lightweight alloy frame. 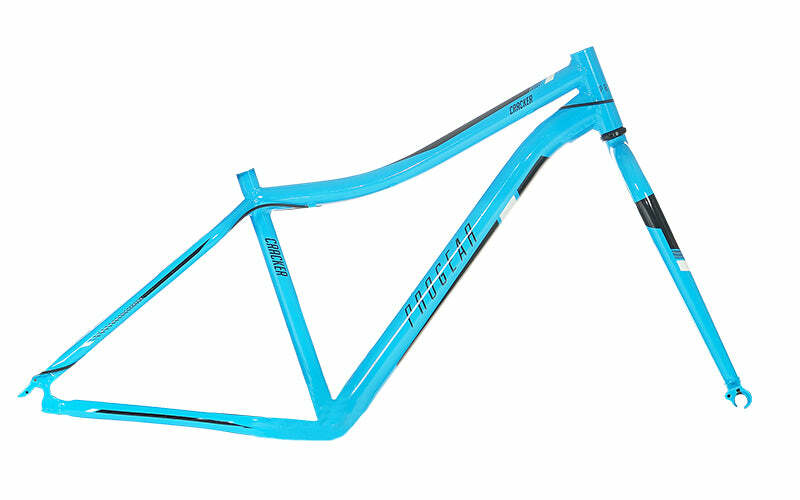 A lighter frame also helps in creasing agility and handling of your bike, essential for any ride. 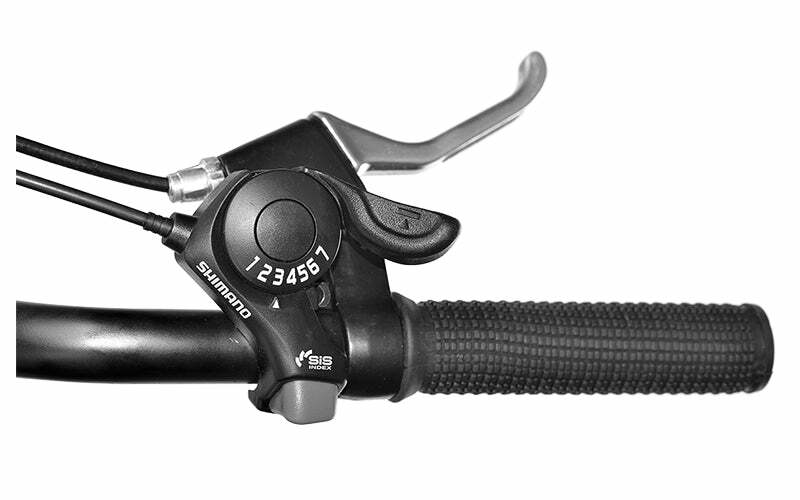 Using a quality Shimano drivetrain, the Shimano Tourney Groupset provides reliable shifting for 7 Speeds, so you’ll be able to maintain cadence and the right gear ratio for any terrain. 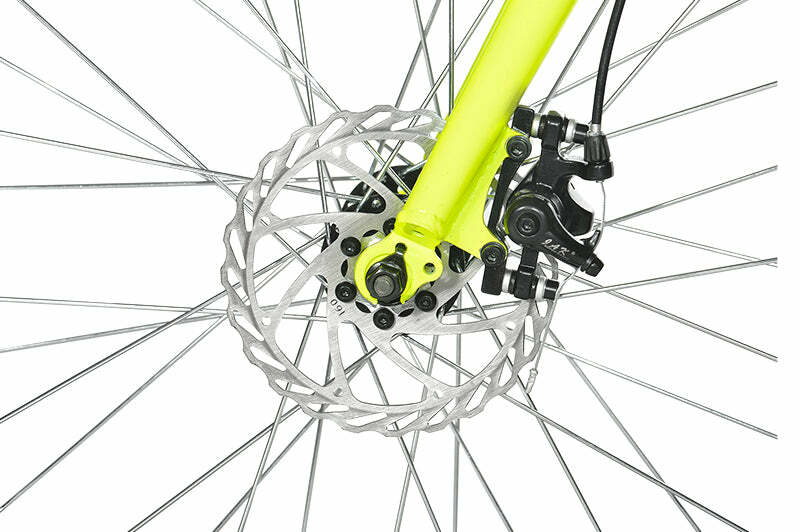 Strong, reliable stopping power is paramount to any bike rider, especially if you're manoeuvring through tough terrain. 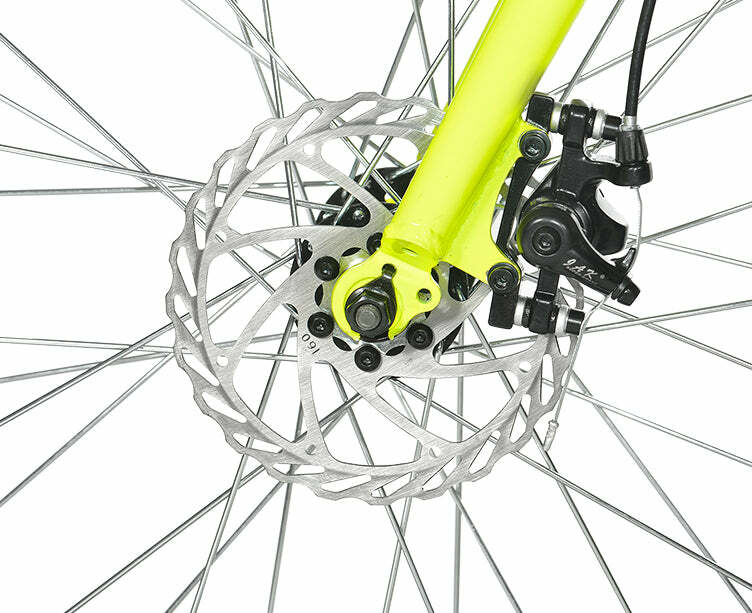 That's why our Surge comes with Disc brakes for consistent, high-powered braking performance.